We were asked (through trance communication) to bring a camera containing a conventional colour film into the group session, for the Spirit Team to experiment with. This we did on more than one occasion, experiencing spirit light activity in the vicinity of the camera whilst the experiments were in progress. The Spirit Team always informed us when they thought that they had been successful, and we were then advised to have the films processed. What is particularly interesting is that some of those early images were black and white, whilst others resembled the old style sepia prints, but between them, they showed us a diverse collection of images from all parts of the globe. Despite the fact that the images are basically black and white (on a colour film), some do show backgrounds containing areas of colour, almost rainbow-like in places. This feature, along with many other aspects of this unique photographic phenomenon, I find to be most fascinating, as there seems to be no normal reason for it to occur. 'Normal' to us, of course, means that which we have grown to accept in our familiar environment and there, I think, lies part of the answer to many of our questions. What we consider 'normal' goes out of the window when you start to look into the subject of spiritual science. This, of course, also applies vice-versa, i.e. 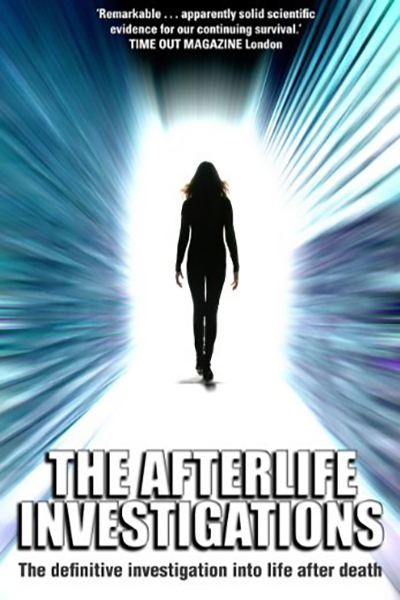 that which is normal for the personality in an afterlife is totally inexplicable to us in our physical world. Having said that, we still find some spirit entities attempting to explain just how their world appears to them, albeit sometimes with a great deal of difficulty. On one occasion, a Communicator did try to explain to us his own theory with regard to how this type of photographic phenomena was made possible. Much, he told us, was similar to trance mediumship, where the spirit communicator 'merges' his own psyche with that of the medium, but in the case of these photographs, the images (which are actually thought patterns in energy form) are merged with the energy in the room. It was a fact that on more than one occasion, some of the Communicators had prior knowledge of what images would appear on the films, which is consistent with his theory. The pictures referred to here are those that were received during this series of early experiments. Even after all this time, they still remain a source of amazement to those of us in the Group! One shows a street scene, perhaps in some busy city, either in Britain or Europe we do not know for sure, but what is evident is that the sun is shining! When we studied this picture for a while, just above the crowd, we noticed a Singer sewing machine sign, just visible above a shop doorway. There is a strange familiarity about this busy street, wherever it is. Which leads me on to suggest that this image could possibly be a personal memory of the communicator who is projecting it for us, which is also consistent with the theory put forward earlier. 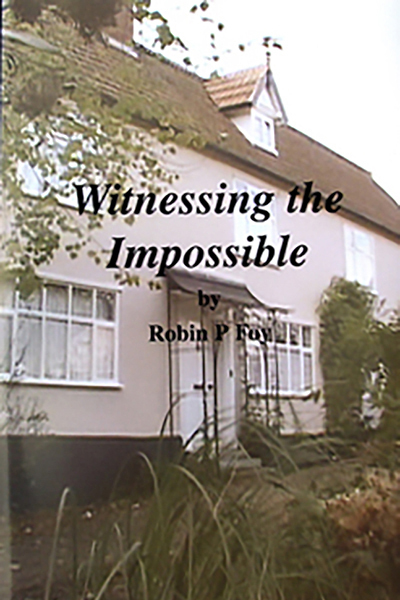 If this is the case, it may be that some of those pictures are more than just attempts to demonstrate what is possible, albeit a wonderful thing in itself, but could, in fact, contain glimpses into the surviving personality's thoughts, enabling them to share with us some of their own recollections. There were two more pictures, both of very well known cathedrals; St. Paul's and Notre-Dame. The one of St. Paul's is from a famous picture taken one night during the Blitz, and this picture appeared on our film twice - the other shot being a closer view, but unfortunately not so clear as the first. If you apply the theory of recollection to these two images, it could be that St. Paul's during the Blitz is either a memory of St. Paul's Cathedral, or alternatively a memory of the city of London during this period. It could even represent a memory of seeing that actual photograph when it was first published all those years ago. I am not suggesting that all of these photographs are of memories that relate to surviving personalities, but I feel that it is possible that some of them might be. The picture of Notre-Dame is not very clear, but we could still make out the river Seine, winding through Paris below. This image is one of the black and white pictures that have the very unusual rainbow colours in the background in this case, it appears in the sky behind the cathedral, giving a striking contrast between the detail and the background. As of yet, we are unable to explain how, or why, this occurs. A number of other pictures, resembled the old-style sepia photographs, from the late nineteenth and early twentieth centuries. Many of these depicted Eastern religious culture, showing stone artefacts. Other images with an Eastern religious theme showed actual writings of sacred text, taken from the teachings found in the Scrimad Bhagavatam. 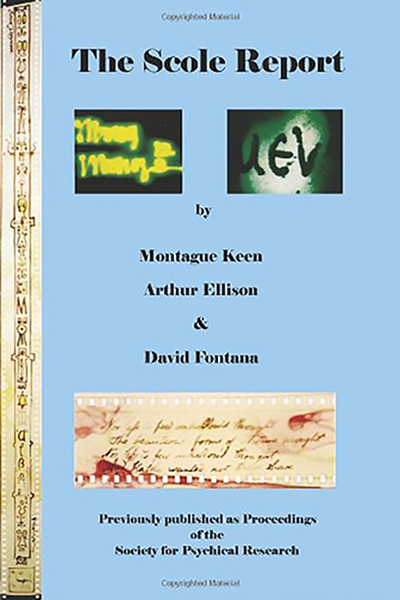 These were not photographs taken of the pages from those sacred scripts, but were written by spirit themselves for the purpose of the experiment, and appear on the photograph to be written on a type of material. There has also been a photograph of a group of people that appear to be posing for the picture; another is of soldiers (cavalry) perhaps the Bengal Lancers? Unfortunately, these are not clear enough to reproduce well. Could it be, then, that some of these images that are being projected onto our films are also glimpses into the lives and cultural backgrounds of the Communicators from a time when they were here in a material existence? The more I study these many and varied images (some very unusual in their content), the more I feel that this is a possibility. If this were the case, it would certainly account for a great deal. It would also tie in with what was explained to us regarding the majority of the later and more abstract photographs we received on Polaroid films. We were told that these later images were in fact related to a spiritual environment (representing areas of communication), but it was stressed that these were only as perceived by the particular spirit person who transmitted them at the moment they were transmitted. The Spirit Team also explained that these images were very personal (especially when faces were present) to the Communicators involved in the experiments. So again, it would seem that what is actually projected onto our films relates specifically to the personalities involved. Another particularly interesting image, again not clear enough to reproduce well enough in print, was that of a Western Standard Cell. This was identified, I must add, only after showing this photograph to a friend who is a scientist, and is also very interested in the work we are doing. He explained to us that a Standard Cell is used in laboratory experiments as a reference of electrical voltage (emf) and potential difference. (I have to admit, I sometimes have a problem with my own potential, let alone a different one!) It must have been the lack of response from us following his explanation that made him repeat what he had already said! To our relief, he then realised that we still had not quite grasped the meaning of his words, and he promised to send us some information for our files. Anyway, the significance of this unusual image appearing as it did, I think, lies with the fact that we have more than one scientist in the spirit world who communicates with us during these sittings, so it would follow that they may also be contributing to the experiments, and are possibly able to project images that are relative to them and to their work. The Polaroid images were received over several months of experimentation and have since been shown (as projected slides) to photographic experts and professors of science. As you can imagine, they have created a great deal of interest and excitement, which hopefully will lead, through further involvement and discussion, to a better understanding of spiritual science by the earthly scientists. At the time of writing (January '96), we are now embarking upon a completely new phase of experimentation with photographic film at the specific request of the Spirit Team. They announced this new phase some weeks ago, explaining to us that they wished to attempt to produce yet more images of their environment for us to see. 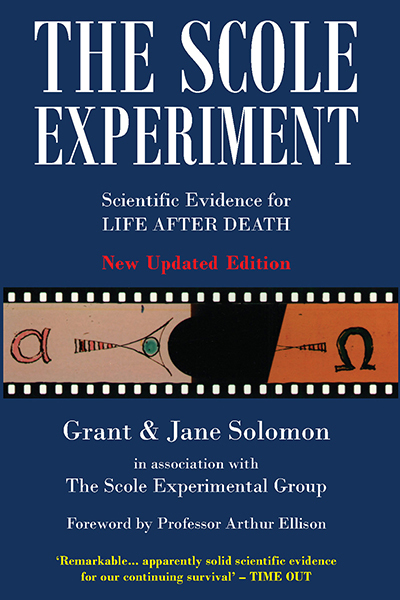 I feel sure that the results (which already look promising) will be well worth waiting for, and should prove very evidential, due to the strict methods of control now being employed during the experiments.